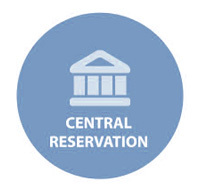 Central Reservation System is a modern tool feature applies to support Sales & Marketing. This tool is allowing user to easily update Room Rate & Availability, Promotion or Package to their own web site without delay or cost. With this advantage will allow the hotel to give out an information or promotion to their customer. The more information update to the customer is done properly, the more booking and income for the property. This feature is also very useful for the hotel with sister property which the system is also design to interface within many property. Any where access for all reservation and all properties Real time rate and availability information Easy for your team to service reservations from a single screen for all properties in your group.